The next-generation of smart speakers is here. Call it your virtual assistant, personal assistant, smart speaker, or whatever it is you want to call them. It’s been only months and it’s already embedded itself in your home. We’re talking about the Google’s very own voice assistant and a smart speaker, “Google Home”. However, it’s not the only smart speaker in town. There’s “Amazon Echo”, the next generation of smart speaker and one of the most versatile smart products developed by Amazon. While Amazon is the future of online retailing, Google is the only one capable of hitting a nerve. Let’s see how the two smart speakers stand up to each other. It’s a smart speaker, a voice-activated speaker which acts as a command center for your smart home and a personal assistant which listens to its user. Google Home responds to voice commands to interact with services through ‘Google Assistant’, the tech giant’s very own personal assistant. In simple terms, it’s a Wi-Fi speaker which streams music directly from the cloud and can do a whole lot of other stuff too. Google Home integrates with both in-house and third-party services to give you personalized answers. Just say the word and the Home does the rest. It can access your favorite playlist and play it for you just by listening to your voice. Not just music, it allows you to access your photos and videos, receive news updates, set an alarm, set a timer, check traffic updates, call an Uber, and more. Ask it anything and it will answer or tell it to do anything and it will do so for you. It’s your very own virtual assistant that listens to you and assists you at every step. And the best part, it can control your smart home by taking charge of your smart appliances in just a bit. It’s like having your own Google that always listens. A smart addition to a smart home, Amazon Echo is undeniably futuristic and may be the closest thing you’ll have to a smart computer at home. It’s your personal assistant which connects to Alexa, an intelligent voice-controlled system developed by Amazon, to play music, send and receive messages, make calls, provide news updates, and more – all in a matter of seconds. All you have to do is ask. Just like Google Home, it listens to your voice and responds to the name “Alexa”. The wake card can also be changed to “Echo”, “Amazon”, or “Computer”. It can play music, make to-do lists, set an alarm, stream podcasts, play audiobooks, check traffic updates, and more. It can also connect to your smart devices acting as a home automation hub. It’s one of the best connected smart home products money can buy. And the best part, it helps you get connected with family and friends, thanks to the Alexa calling and messaging services. Ask Alexa to make a quick call or send a message and it will do that for you. Plus, it connects instantly with other Echo devices in your home. Echo stays connected all the time so you can get real time updates without failing. Like most Bluetooth speakers, Amazon Echo sports a cylindrical design offering a 360-degree audio experience. The speaker grille is housed on the lower half of the Echo with tiny perforations and the volume ring is at the upper half that lights up when Alexa is activated. The Google Home, on the other hand, is aesthetically designed bearing a wine glass in mind. The top half is hard plastic that lights up when Google Assistant is activated. Both speakers are quite loud, but the Home provides richer sound with more bass, however, the voices sound less clear. Voices on the Echo, on the other hand, sound more natural and clear, but it lacks bass for a great sound quality. Echo is a little louder than the Home, owing to the omnidirectional speaker. 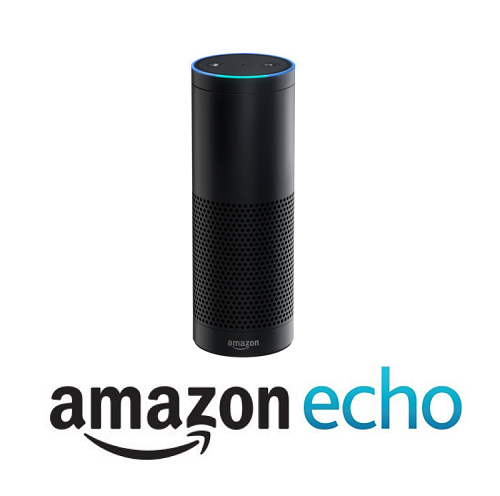 Both Home and Echo have the ability to stream major audio offerings apart from their own. However, Home is limited to Google Play Music, Pandora, Spotify, and YouTube, while Echo can do a host of streaming services like Pandora, Spotify, TuneIn, Prime Music, Audible Amazon Music, iHeartRadio, and Amazon Music Unlimited. Both the devices can do a lot of stuff like finding the nearest restaurant, checking real-time traffic updates, setting up alarm, getting news updates, pulling up information from Wikipedia, and more. The response time may differ a bit but the functionality stays the same. It seems Echo supports more services than Home. As Google is the most sophisticated and efficient search engine out there, so it’s obvious Home excels at pulling up information from the web and it can respond to a wide variety of questions much efficiently. Echo, on the other hand, lacks a bit behind, when it comes to response time and it relies on third-party apps for filling its knowledge gaps. Home supports a lot of streaming services but the offering is limited to few. Best for streaming music and podcasts as it works with a host of streaming services. Access to free Spotify accounts. Limited to only premium users. Response time is better than Echo. Stays a little behind when it comes to response time. Rich sound with decent bass for a smooth audio experience. More natural and clear sound but lacks bass. The sound seems a little muffled in Home. Fills a large space with sound, thanks to the omnidirectional speaker. Both the smart speakers have their own set of pros and cons, though the Echo has a little edge over Home, thanks to a wider range of device support for a smart home ecosystem and more. Both work well when it comes to basic tasks such as setting up an alarm, checking traffic updates, making calls, streaming music, managing to-do lists, and more. While Home makes the most of its in-house offerings, Echo relies mostly on the third-party offerings for the services. The main advantage of Home over Echo is obviously, Google. As a leading search engine, it answers questions more efficiently while offering more factual information. It also keeps track of your previous inputs to provide better results each time. Both of the smart speakers offer quite a lot of the same and a lot that is different and even aesthetically speaking, they are quite similar in design whereas Echo is a little taller than the Home. However, that doesn’t stop either from stop listening and this is the one aspect they both are really good at. Sagar Khillar. "Difference Between Google Home and Amazon Echo." DifferenceBetween.net. 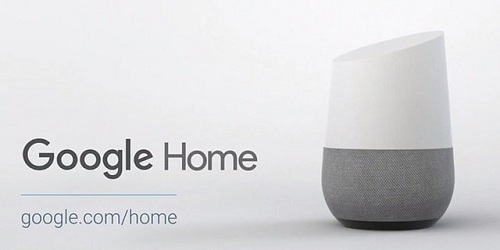 November 13, 2018 < http://www.differencebetween.net/technology/difference-between-google-home-and-amazon-echo/ >. West, Dominic. Amazon Echo: 2017 Edition User Guide and Manual. South Carolina: CreateSpace, 2016.